District numbers show graduation increases in nearly every high school, except Century High. 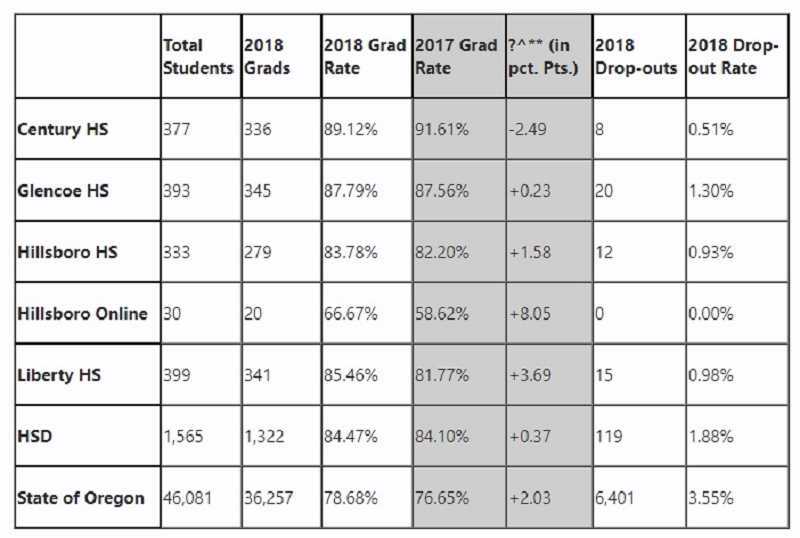 The Hillsboro School District graduated slightly more students in 2018 than the previous year, inching up a graduation rate that is already higher than the state average, the district announced on Thursday. Nearly every high school in the district saw increased graduation rates over previous years. 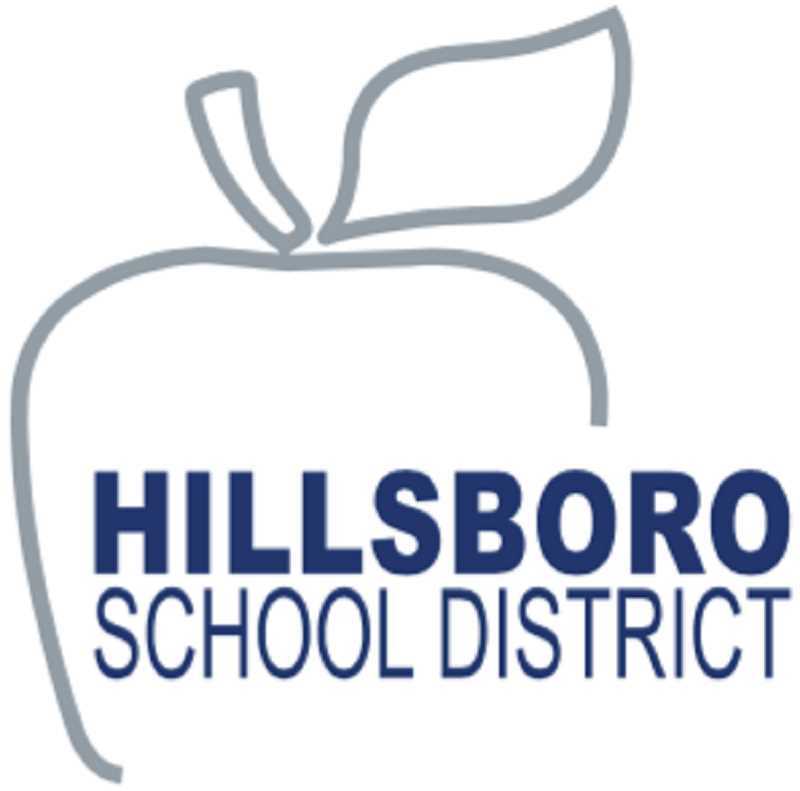 The highest graduation rate increase occurred at Hillsboro Online, the virtual online school operated by the district. The small school has only a few dozen students, so any changes could have a big impact on graduation rates. Like many online high schools, Hillsboro Online has struggled to graduate students on time. In 2017, only 58 percent of seniors at the school graduated on time, the lowest of any school in the district. In 2018, that number rose, with 66 percent of its seniors graduating. Liberty High School saw the biggest increase of Hillsboro's main high schools, graduating 85 percent of seniors in 2018, compared to 81 percent in 2017. Hillsboro saw a slight increase, graduating 83 percent of seniors, compared to 82 percent in 2017. Glencoe saw near identical graduation rate compared to last year, with 87 percent of seniors graduating on time. Not all the schools showed improved graduation rates. Century High School saw a slightly lower graduation rate compared to last school year, graduating 89 percent of its seniors on time in 2018, compared to 91.6 percent of students in 2017. Overall, the district's graduation rate stayed about the same year over year, at about 84 percent. The district did see a rise in its completer rate, a statistic that factors in not only on-time graduation, but also adult high school diplomas, extended diplomas and students who earn their general equivalency diploma, or GED. Assistant Superintendent Dayle Spitzer said the district has focused on a number of strategies and assessments to help increase student success. The district has made a point of finding and helping students at risk of falling behind their peers, Spitzer said. Those students are offered a variety of programs from graduation coaches and outreach workers to help get back on track, he said. The new graduation rate also showed a slight narrowing of the racial achievement gap, a figure which shows the disparity between white and Latino students. In 2017, 86 percent of white students in the district graduated on time, compared to 79 percent of Latino students, according to district data. In 2018 about 80 percent of Latino students graduated on time, compared to 85 percent of white students. Superintendent Mike Scott said students and staff across the district were working hard to ensure students are successful. "We are very proud of our students for their relentless efforts to graduate," Scott said. "We are deeply grateful for all of the staff, parents, volunteers, coaches, and others who are invested in our students' success."